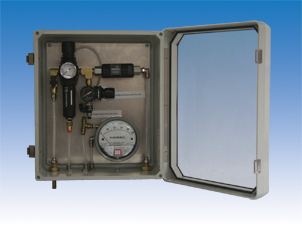 Durham Geo Slope Indicator can supply air compressors for all types of environmental applications. 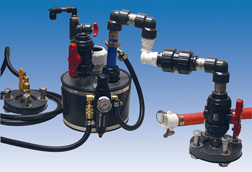 From 3/4 HP oil-less designs for ground water sampling up to 15 HP models for remediation projects. Selecting the optimum air compressor system will ensure efficient operation and reduce the need for maintenance and repairs. A correctly sized, good quality air compressor will provide years of trouble free operation. A compressor will turn approximately 7 cubic feet of ambient air into 1 cubic foot of compressed air. 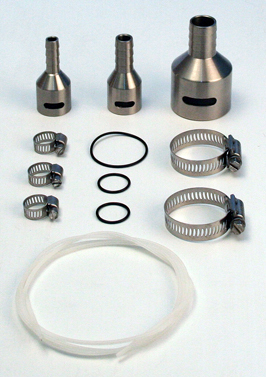 The net result is seven times as much moisture and contamination inside the compressor receiver and air lines. The compression process will also increase the ambient temperature of the air inside the receiver. Air compressors can generate over 20 gallons of water in an 8-hour operating period. 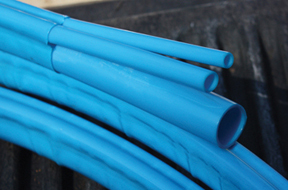 If not removed, the moisture and contaminants can cause premature failure of the air lines and pumping equipment. Compressors should therefore include the following accessories: an aftercooler, a receiver autodrain and, depending on the climatic conditions where the compressor will be used, an air dryer. An after cooler will reduce the temperature of the compressed air. This will result in the water vapor condensing into droplets which will collect in the bottom of the receiver. An auto drain fitted to the receiver will open automatically, allowing the water to drain. 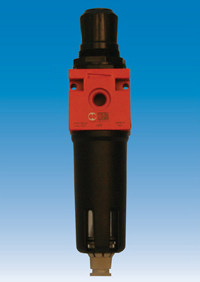 Air dryers should be used when the compressor is operated in freezing or high humidity conditions. Example: If you are using two MVP IV pumps each producing 3 GPM (1 CFM required per gallon pumped), your actual air requirements will be 6 CFM. Multiply this number by 1.5 (50% duty cycle) and your total CFM requirement will be 9 CFM. TR-730 3/4 HP Air Compressor, oil-less, 115 V, 1 phase, 2 cfm @ 100 psi, 4 gal receiver. TR-901 2.5 HP Air Compressor, 115 V, 1 phase, 5.5 cfm @ 100 psi, 20 gal receiver. TR-905 5 HP Air Compressor, 230 V 3 phase, 17.1 cfm @ 100 psi, 80 gal receiver. TR-132 10 HP Air Compressor, 230 V 3 phase, 35 cfm @ 100 psi, 120 gal receiver. TR-133 15 HP Air Compressor, 230 V 3 phase, 55 cfm @ 100 psi, 120 gal receiver.